An established trademark indicates quality and provides valuable recognition for trade and sales promotion. Without adequate protection, these essential functions are jeopardized. The need for unification in this area, especially in Europe, can no longer be ignored. 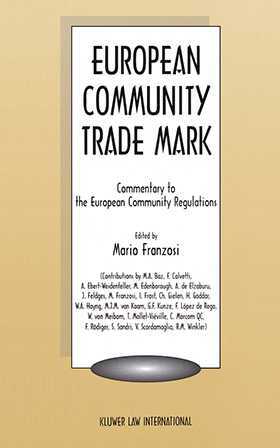 The transformation of the Council Directive and the Commission Regulations into national laws in many Member States of the European Union (EU) enhances the value of European Community Trade Mark in the interpretation and analysis of national European trademark laws. Written by leading European experts in the field, this commentary provides an invaluable tool for practitioners, scholars, and marketing managers in interpreting the Community provisions in this specialized, critical area. It is unique in its coupling of a strong theoretical background with the experience of contributors from diverse legal and practical cultures.